For those following our install articles, the 60th Anniversary Strat project we did recently was powered by a Fishman Rechargable Battery Pack. 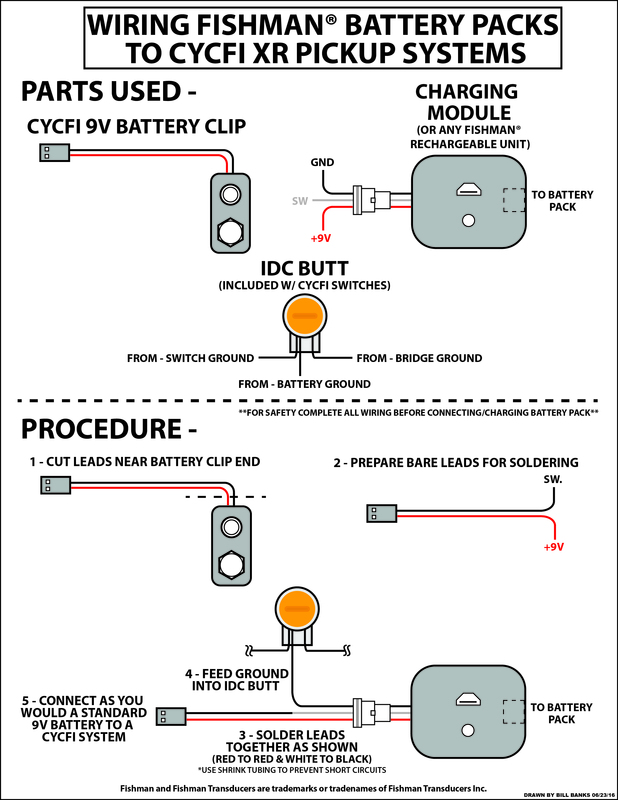 We have had some inquires as to how to incorporate the Fishman battery with our systems and thus have created a diagram detailing the process. 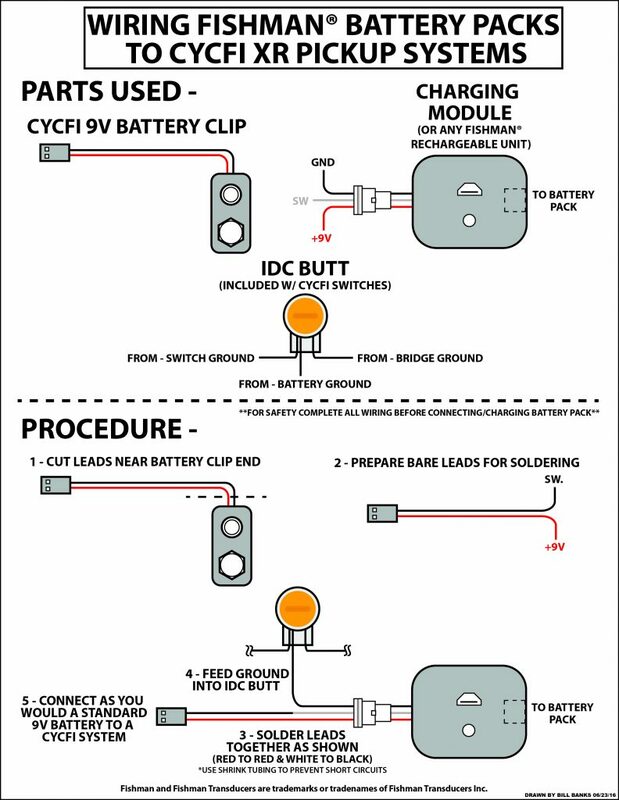 In the case of our project we used the Strat backplate style battery however this diagram should apply to any of the Fishman batteries available in the series. All trademarks and registered trademarks are the property of their respective owners. The use of these trademarks does not imply any affiliation or endorsement by the trademark owners.